This walk crosses wild moor land with craggy outcrops and several reservoirs. It is a well marked route, so is suitable for relatively inexperienced walkers. You also get to see the remains of hushings – an ancient mining technique. It’s about 12 km (8 miles) and should take you about 3½ – 4 hours (+ stops). There is one fairly short up hill at the start and a couple of gentle up hills later but most of the walk is gently down hill. The walk is nearly all on good tracks with one stretch on a good footpath. The whole route is well signposted with Pennine Bridleway signs. Because it is a bridleway, there are several gates on the route. There are no facilities on the route, but the walk ends at Holme Chapel where you may want to visit the Ram Inn. Whatever it feels in the valley, it can be very cold and windy on the moors so you must take good wind and waterproof clothing. Boots would be best but good walking shoes will be ok. 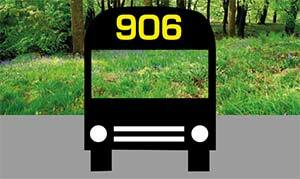 This walk starts at the 906 bus terminus at Widdop. Turn left and walk across the dam to the other side where you turn right. Go through the gate (sign-posted Pennine Bridleway) by the pump house and walk ahead with the reservoir on your right. After 200 metres, ignore the footpath branching off uphill to the left and continue along the main track passing a conifer plantation to your left. At the end of the plantation, ignore the smaller track going off to the right heading for the water and continue the well made track up which winds up quite a steep incline for 1km (there are good http://healthsavy.com/product/phentermine/ views of the reservoir behind you). At the top, the track straightens out, reaching a signpost ‘Pennine Bridleway Worsthorne 3 miles’ where you keep straight ahead and starting to descend. After 1km you go through a metal gate and after another 1km you pass a signpost ‘Pennine Bridleway MT Loop West’. After 250 metres you turn left at the signpost ‘Pennine Bridleway Hurstwood Reservoir ¼ mile’, heading towards the reservoir. (Note the strange landscape on your left cause by hushing, described later). The track passes another signpost ‘Pennine Bridleway’ and heads along the left hand edge of the reservoir until you reach the dam wall at the far end. Bear left on the track signposted ‘Pennine Bridleway Long Causeway 1½ miles’. Ignore the track going up to the electricity pylon. Towards the top of the slope you reach a plateau where the track bears right (Cant Clough reservoir comes into view almost immediately). At the reservoir, go straight across the dam, then continuing on the track by the side of a fence. Cross a stream and turn left at the signpost ‘Long Causeway ½ mile’. You now follow an old walled track, re-crossing the stream twice. You pass an information board ‘Shedden Clough and the Hushings’ then go straight up hill until you reach the main road. At the road turn right along the side of the road and cross at the signpost ‘Holme Chapel’. Go through the gate, turn right on the path. Go through the fenced hedge and turn left on the path following the fence downhill. The path moves away from the fence, goes through a gate heading down hill and joins a hedge where you turn right. When you reach a T junction near a wooden fence, turn left, heading down towards a signpost ‘Pennine Bridleway Holme Chapel ½ mile’. Follow the walled track ahead until you reach a minor road where you turn left down into Holme Chapel. From Holme Chapel you can get the 592 bus back to Hebden Bridge or buses to Todmorden and change. The Ram is dead opposite the bus stop.